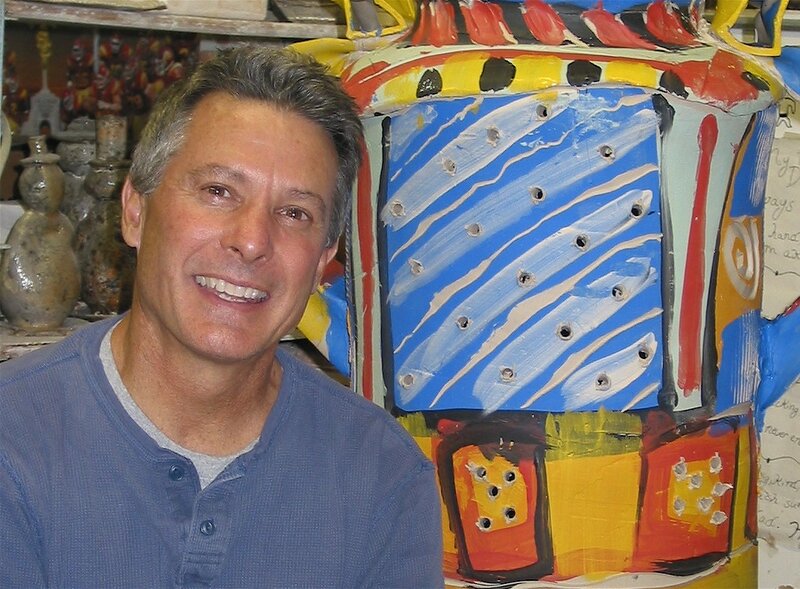 Our state of the art facility, founded by Kevin A. Myers, enables us to offer a unique, exciting and creative environment for the independent clay artist. Muddy’s Studio is a fully equipped, 5400 square foot studio that meets the needs of sculptors, hand builders, and artists who work on the wheel. Muddy’s Studio offers memberships, workshops, and sales, semi-private, private and shared studio space. The mission behind Muddy’s Studio is to encourage and support the artist in need of a place to work. Our goal is to provide a professional working and supportive environment for the artistic community. Muddy’s Studio was built with the ceramic artist in mind. We wanted to design a project space where artist have the opportunity to experiment and expand their ideas. A unique feature of the studio is that it was designed to be modular. Artists needing space for that special project may be accommodated. Work Space: We started by hiring a master craftsman to build beautiful hand crafted worktables, wheel tables and a wedging table. Shared Equipment: A 36-inch slab roller, extruder, spray booth and a large assortment of potter's tools to borrow. Kilns: We have a 24 cubic foot gas Geil Kiln, as well as three electric kilns and one raku kiln. Glazes: Members will also find a complete glaze calculation area. Muddy’s Studio offers a full palette of oxides and cone 10 studio glazes. Some Raku, low fire and mid-range glazes are available for member use. Clays: Several stoneware clay bodies are available for purchase, $10.00 for 25 lbs.